Besides "Love I Lost" being one of the greatest songs of all time, it is also a perfect example of the soulful disco that was in many ways born and bred in Philadelphia. When it comes to getting down with a true Philly Sound, it doesn't get much better than Harold Melvin & The Blue Notes. The Philly Mural Arts Program (http://muralarts.org/) has been redefining the walls and streets of the city for years. A common theme in these murals is a presentation of prominent figures in the city's culture and history. 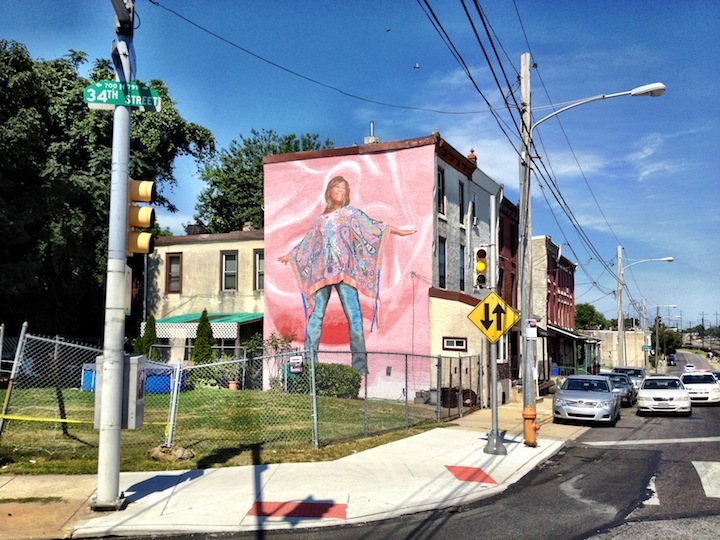 Here is a picture that I took in West Philly of Patti Labelle smiling proudly over the corner of 34th & Mantua.